A/B testing, also referred to as split testing, is a great way for marketers to find the best way to encourage users to take certain actions on their websites. 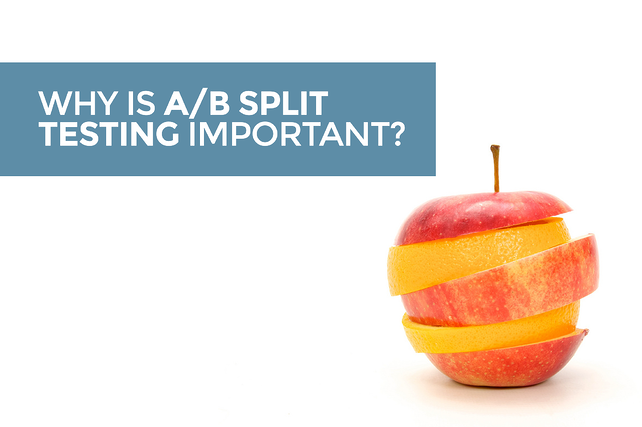 A/B split testing is when you compare two versions of a webpage, landing page, email, etc. against each other to determine which performs better. A/B testing is important because it can help you optimize your campaign in order to increase performance over time. As mentioned above, you can optimize your campaigns through A/B testing a variety of elements over time and that’s why A/B testing is still so important. It can help you improve open rates, click-through rates, engagement rates, and conversion rates which can ultimately make a huge impact on your bottom line. If you’re not working to optimize your campaigns then you’re really doing your marketing and your business a disservice. The intel you can learn while testing and experimenting can not only benefit that specific campaign but all future campaigns! Testing takes time, strategy, patience, and an analytical mind as well as organization. Luckily there are some awesome tools out there to help make this process a bit easier. Tools like Unbounce, Optimizely, KISSmetrics, and even our best marketing pal, Google, have great A/B testing tools. In fact, Google recently released a free version of their product, Optimize 360, that is available for beta usage as well as their Experiments in Google Analytics. Who doesn’t love free data?! What if my A/B test doesn’t work? It’s always fun to be successful, but as a “data scientist,” you cannot fear failure. In fact, you should embrace it and learn from it! A/B split testing is great for showing you what is working and what isn’t working. The more you know of each the more information you have to optimize your campaign and you begin to have a deeper understanding of your target audience. You can really begin to tailor your marketing to speak effectively and promote your desired action and outcome. Sure you can! That’s call multivariate testing, which is a little different than A/B split testing. Just as the word sounds, multivariate testing is when multiple variables are modified and tested against a control. This will help determine which combination of variations performs the best out of a variety of possible combinations. Multivariate testing can be a little bit more complicated because, as stated, you’re testing a variety of variables all at once, so it makes it a bit harder to say with 100% certainty the one element that either causes a success or failure. However, it can certainly be done! If at first, you don’t succeed, test, test again. It’s not just a saying, you should “always be testing”. In the beginning, many times, you have to rely on a hypothesis or previous experience to create a campaign you think will be successful. Once you can get benchline data for that campaign then you can begin A/B testing elements right away. Create goals that are attainable and have fun with it!